Black holes are always found in the center of galaxies and we need help to discover them. There are two ways to find a black hole. One way to find a black hole would be by their gravitational influence. For example, we could find stars rotating around a black hole. The second way to find a black hole would be observing matter falling into the black hole. The more massive galaxies have bigger black holes in them, and generally the bigger the black hole is, the easier it is to locate. Bigger (more massive) black holes can eat more matter, and when a black hole eats matter it can create jets of material and those jets can travel close to the speed of light. You can detect these jets of material by a radio telescope than we can guess the location of the black hole. On the Radio Galaxy Zoo site, they combine radio images with infrared images to find these black holes and their jets. Most of the radio images come from the Faint Images of the Radio Sky Twenty- Centimeters or for short FIRST, but also they come from the Very Large Array (aka VLA) telescope in New Mexico. The infrared images come from the Wide-Field Infrared Survey Explorer (aka WISE) and also the Spitzer Space Telescope. Radio images comes from the jets and the infrared comes from galaxies. Infrared is the color that dust glows bright in and of course galaxies have a lot of dust. Radio Galaxy Zoo needs your help to line up the images of the jets with the galaxies to help you to find a complete black hole system. But make sure that the jets look like they are coming from the black hole/galaxy. We need your help to find these black holes! The Radio Galaxy Zoo team hopes that you can help astronomers learn how black holes are formed, how they are found, and much more. They try to use computers to find these black holes and their material jets. But what if the computers can’t do the job? Well, it’s hard for the computers to tell whether the jets are coming from a certain galaxy. Some other reasons that they want to find black holes are that we want to know what goes on inside of a black hole and why is it that time is affected by the black hole. We also want to know what role a black hole plays in unfolding the universe. Galaxy Zoo is a civil science project that teaches people about the different types of galaxies in the universe. There are ones with smooth edges, or swirl patterns, or ones that have undefined shapes. There can also be unusual qualities in the image of a galaxy, such as an odd pattern, or large center bulge. This project also teaches civilians that each galaxy is slightly different, just like a fingerprint! Throughout the project, one can discover how galaxies are formed, and what the astronomers connected with the project are trying to understand. Galaxy Zoo’s goal is to study different galaxies and understand how the formation of galaxies affects the universe around us. Over time, the interactive galaxy classifying ‘game’ has matured from just identifying the galaxy’s shape, to identifying its key features, and even using images from special cameras that measure dark energy! 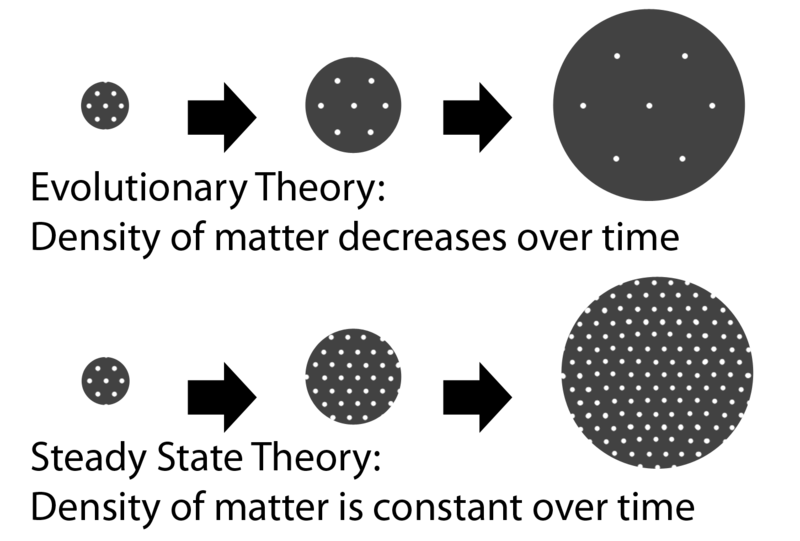 Figure 1: Above you can see different examples of galaxies and the different shapes they come in. This project has evolved and each stage gradually gets more complex for the civil scientists. Galaxy Zoo started with images collected from the Sloan Digital Sky Survey, which created the most detailed 3D map of the universe. When the project began, it asked civilians to complete much simpler tasks. All one had to do was classify the shape of the Galaxy. The second stage of the project called for a more precise description of each image. It asked civilians to describe the arms of spiral galaxies, the size of their center bulges, etc. The third stage drew imaged from the Hubble telescope as well as the SDSS. Recently, scientists have combined the images from the Hubble surveys and the SDSS to create the most detailed imaged possible. This project now uses images from the Dark Energy Camera Legacy (DECal) Survey, in addition to using the Hubble and SDS surveys. These cameras are the most sensitive and widest cameras used in the process of collecting images for this project. Since these camera’s are so sensitive, they produce images that are much clearer and more defined than the SDSS or Hubble surveys ever did, as shown in the image below. Galaxy Zoo has begun using these images to get the most accurate results in their study. 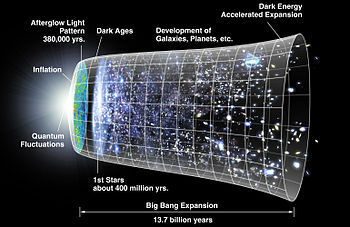 Dark Energy Camera’s are used to not only make the clearest images of the universe, but they also measure dark energy. Dark matter, and dark energy, make up a large portion of our universe. The DECaL survey uses infrared technology to create a map of our universe. The Dark Energy Camera Legacy Survey’s main focus is to collect the brightest images of faraway galaxies that cannot be seen with the naked eye. This survey is creating a layout of the universe by combining images of the night sky at different points in Earth’s rotation. The DECaLS project got me thinking about dark energy, because another aspect of this ‘map’ DECaLS is creating, is measuring the amount of dark matter and energy the universe is made of. I, personally, find this quite amazing because dark energy is a mystery to astrophysicists. It makes up over half of the universe, and yet no one knows what it is or where it comes from! Figure 2: On the left is an image from the SDSS survey, and on the right is an image from the DECal survey. Both images are of the same galaxy. Through the Galaxy Zoo project, civilians are helping scientist further understand the universe around us. By using clarified images from the DECaL survey, the scientist behind Galaxy Zoo can get the most accurate classifications from civilian’s submissions. The classifying galaxy ‘game’ is helping categorize images of certain types of galaxies, and also figure out where large amounts of dark energy are. The clearer the images are, the more precise the classifications are. So get out there and start classifying! Scientists began to look at galactic clusters, knots of galaxies, hypothesizing that the mass that was unaccounted for was hot gas. They found vast clouds of superheated gas but not enough to make up for the missing mass. They knew there was something else there because the gravity of the galactic clusters alone wasn’t enough to keep the gas from escaping the galaxies. Scientists aren’t really sure what dark matter is but, they know for sure what it’s not. Scientists know for sure that dark matter isn’t red, white or brown dwarf stars. It also isn’t cold or hot gas. Neutron stars and black holes? Not those either. The term “dark matter” is just a placeholder for now, like the unknown variable of an algebra equation, the “X” or “Y” of the universe. Scientists estimated the amount of dark matter and atom-based matter in the universe and entered it into a computer which drew a map of dark matter’s location in the universe based on the information provided. In the simulation, dark matter is shown as weblike material woven in with regular matter, it could be everywhere. Astronomers have worked to create a similar dark matter map based on direct observation of galaxies’ mass. Based on the evidence, most astronomers agree that dark matter exists. But they have more questions than answers. The biggest question, dare we say one of the biggest in all of cosmology is: Is it an undiscovered type of matter, or is it ordinary matter that we have difficulty observing? There is a lot of difficulty in knowing what dark matter is. Some scientists even believe that dark matter doesn’t exist and that we could just be misinterpreting the laws of gravity. Astronomy researcher Stacey McGaugh came up with an alternative theory of gravity. “We infer dark matter to be there. We infer it from its gravitational effects,” said McGaugh in an interview with Vice. McGaugh thinks that gravity’s effects might be different at different places in the universe. In conclusion, maybe we don’t know what’s in our universe as well as we thought we did. There could be endless possibilities of what the universe holds. Most scientists agree with the statement that dark matter exists. Of course there are still some that doubt its existence and would even go as far as to question our perception of the laws of gravity. A rhetorical question that comes to mind is “You can’t see air but, does it not exist?” Whether you choose to believe in dark matter or not, there is still something thats fills the missing mass of the universe.